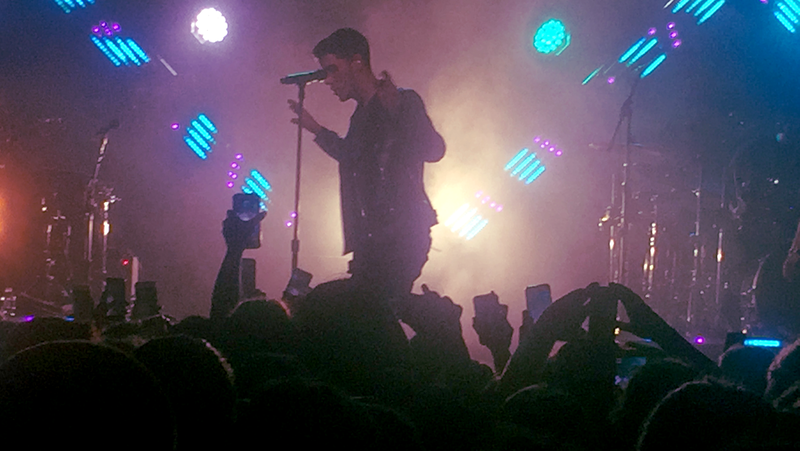 In May I won tickets to see headlining artist Nick Jonas at WNCI’s annual Spring Beats concerts. To say I was excited would be an understatement. I’ll openly admit that I have been absolutely in love with Nick Jonas since his curly haired “Year 3000”, “Burnin’ Up”, and “Love Bug” days. That’s almost a decade. 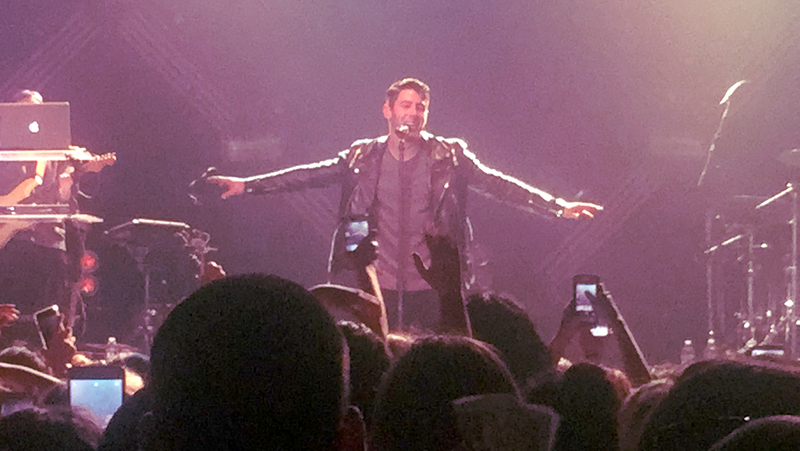 I had waited since middle school to see this boy (well, now a man) in concert. 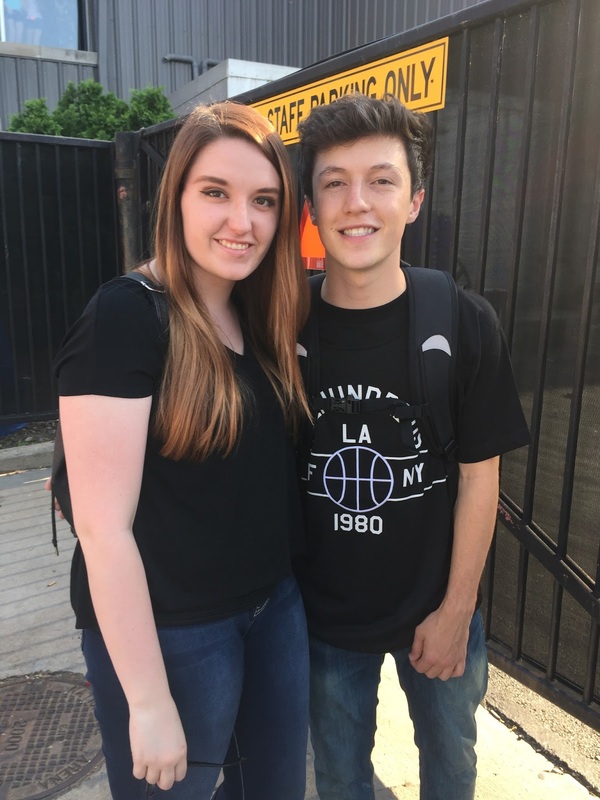 Before I go into my fangirl shpeal of the wonderous Nick Jonas, I’m going to hit on a few of the artists also featured at the concerts, a few discoveries I made, and who I met. There were multiple artists at this festival-like concert. 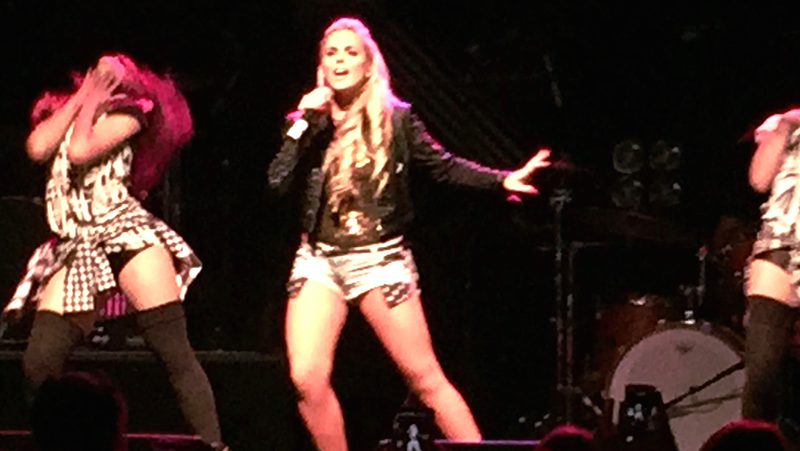 First on stage was Katie Tiz. Katie was a pretty good opening act, and I thought it was pretty funny that she pulling the fact that she’s British so far that she brought tea on stage. But wouldn’t that hurt a singer’s throat? I don’t know. I’m not vocally or musically inclined. 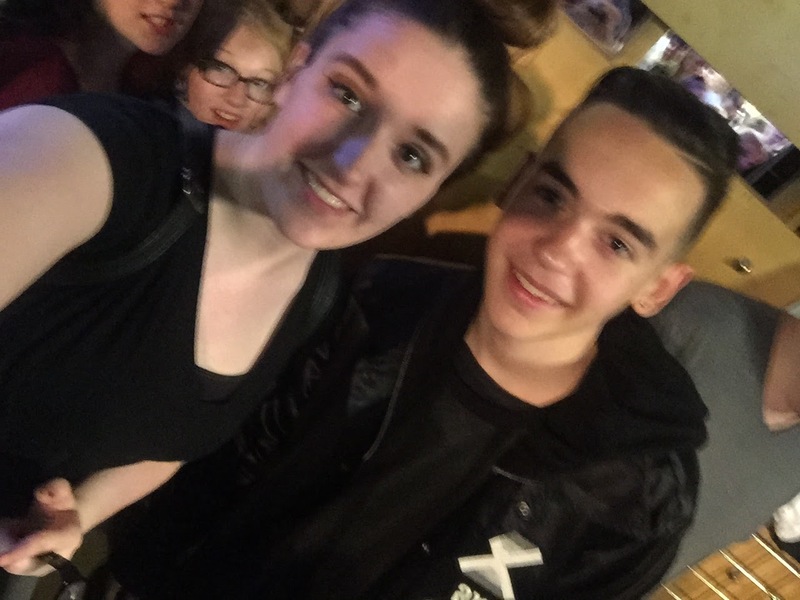 Anyways, the next artist on was Alex Angelo. He’s was nearly local since he was from another city in Ohio, and he really got the crowd pumped. I was shocked to learn how young he was. The reason why I got sick (which I’ll get to later) was probably because of how pumped I was during his set. I mean, when I say everyone was jumping, everyone was jumping. I wish I had a video to share with you all, because it was seriously fun. After his set, when I left my spot, I actually met him! Sorry for how gross and sweaty I am in the photo, because like I said, his set was seriously lit. Next on stage were Kalin and Myles and then Jake Miller. I am sad to say I didn’t get to see these ones perform. I had a great spot at the barricade of the upper pit, so I could see over the entire crowd. However, the venue was so incredibly humid and hot that I had to leave my spot to get a drink of water and sit down for awhile so I didn’t get sick. 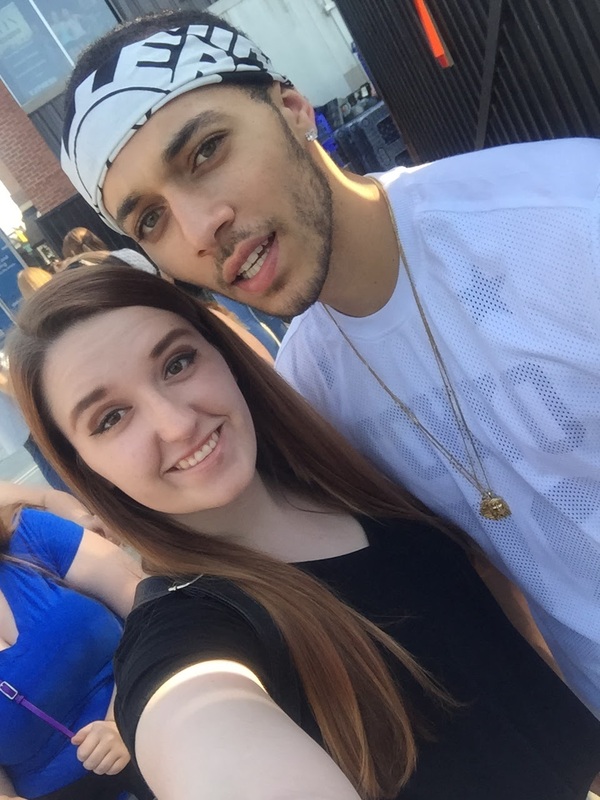 Before the concert, though, I did get to meet Kalin and Myles! Now, onto my favorite part of the night. After settling down, getting hydrated and calmed down, we had to wait awhile for Nick Jonas’ set to get set up onstage. I moved into the lower pit and toward the back. I was shocked that I could actually see pretty well (thank you tallness!). 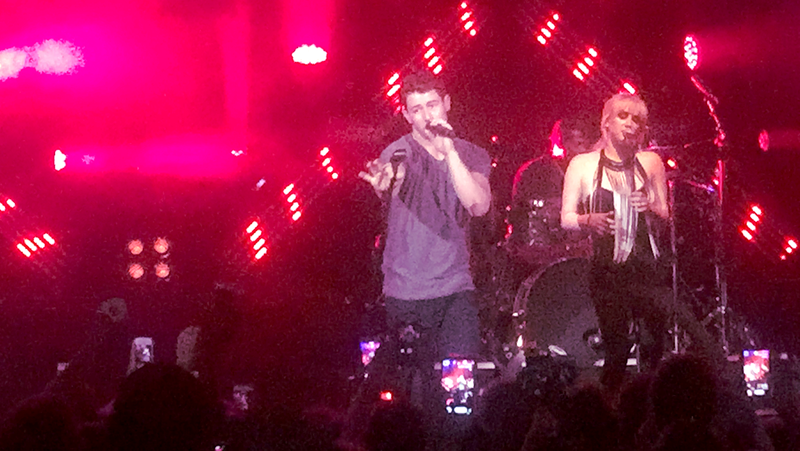 I was seriously so stoked to finally be seeing Nick Jonas after waiting so many years. Finally, he was onstage. I was a bit overwhelmed way more energized now that I was seeing him live. Nick Jonas was only a few feet in front of me, I “might” have teared up a little bit when his part of the show started. Oops. He was way better live than I thought he was going to be. His vocals were excellent, but then again my preteen self was probably making me extremely biased. The crowd was great, too, and everyone around me was very kind. I am so glad that I had this opportunity to go. A major thanks to WNCI for providing me with the tickets to go to this amazing show.